There are many instances where you may need to set up a Custom RTMP stream. 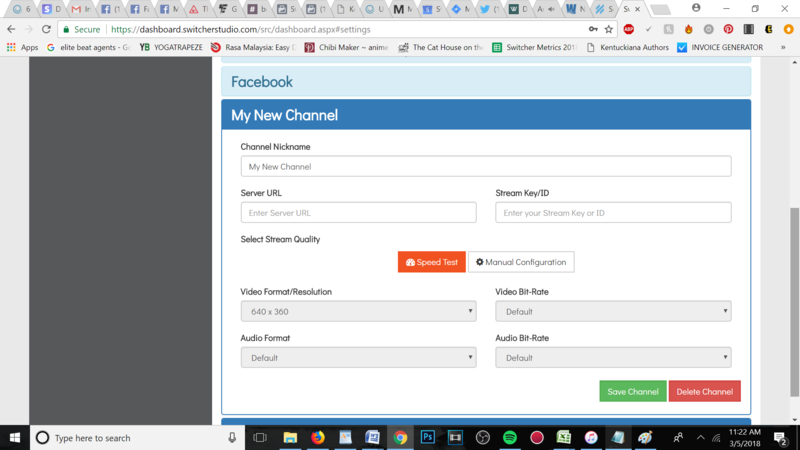 While Switcher Studio has direct integration to both Facebook and YouTube, the desire to use other platforms such as Twitch, Periscope, and more will necessitate the need for setting up a stream with Custom RTMP. Your streaming platform will need to provide you with two RTMP values in order to use Switcher Studio for your broadcast: A Server URL and a Stream Key/ID. Write down Stream Key and your Server URL (and double-check for accuracy). Open the Switcher Studio app. In the Outputs tab, tap on the blue arrow to the right of the option for "Custom RTMP". Tap on the blue "+" sign in the top corner. Type in your Stream Key and your Server URL. Double-check for accuracy; if there is even the slightest typo, your stream will not work. Save your new RTMP Channel. Tap on the new Channel's name, so a blue checkmark appears beside it. 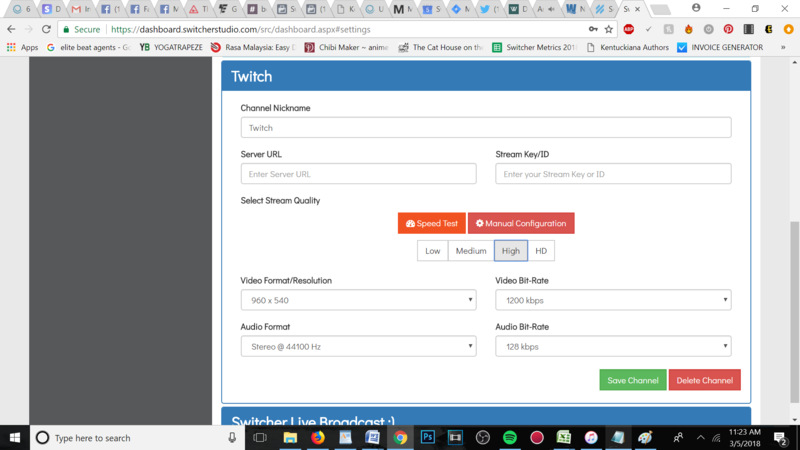 With your Stream Key and your Server URL handy, log into your account on switcherstudio.com and go to the "Custom RTMP" tab. Under Channel Settings, tap on the orange "+Add Channel" button. Title your channel so that you know what it is. We recommend just using the platform's name as the title (i.e. "Twitch", "Periscope", "Scheduled Facebook", etc.) so that you know quickly and easily which channel is which. Next, click on "Manual Configuration" so that you can customize the properties of the channel. Many platforms will give you recommended settings to place into these values. If you are not sure of what a certain value should be, we recommend leaving it set as "Default". Select "Save Channel". 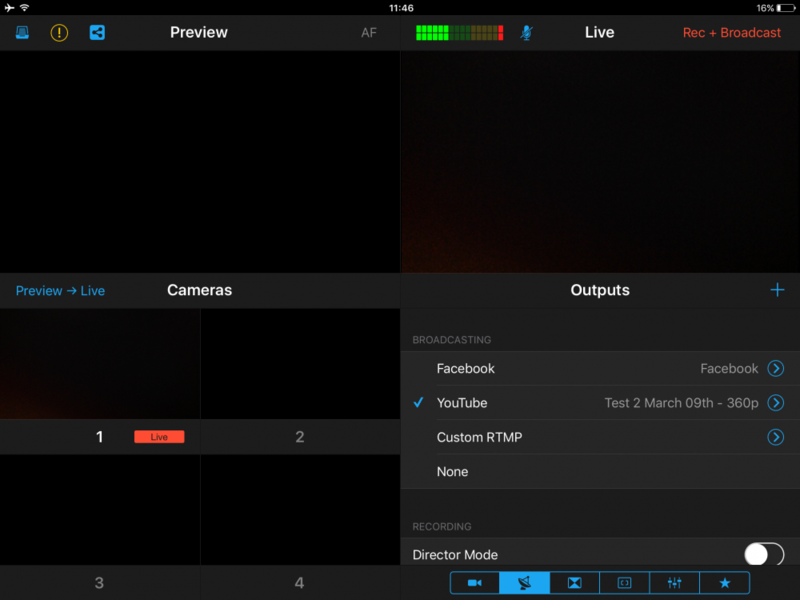 Now, open up your Switcher Studio app, and we will set up your new Channel for use inside of the app! When you open your Switcher Studio app, go to the "Outputs" tab, and then tap on the blue arrow beside "Custom RTMP". 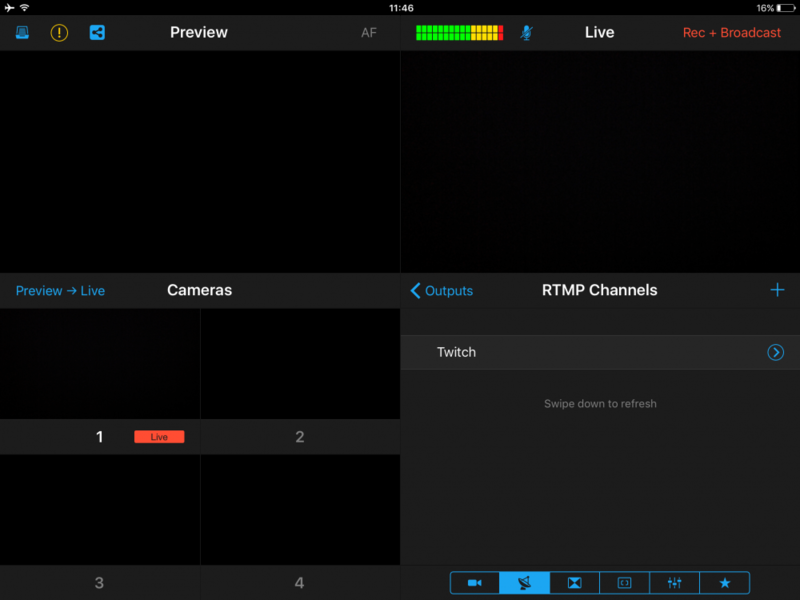 This will take you to the RTMP Channel selection menu. For now, you only have the one Channel saved in here; however, if you add other platforms in the future, you will see them all listed here. Tap on your new Channel name to select it. You will be able to tell that it was selected successfully via the blue checkmark that appears next to it. You can also reconfigure the Channel's settings at any time by tapping on the blue arrow beside the Channel's name, rather than logging back into your Dashboard on our website. You will now see where the Channel's name appears beside "Custom RTMP". That means that the Channel is ready for streaming! Just tap on "Custom RTMP" to select it as your source, and you are ready to go Live!